Pre-heat your oven to 190'C / 375'F / Gas 5. Place 18 bun cases in a patty tin. In a bowl, sift together the gluten-free flour, gluten-free baking powder and xanthan gum. Add the dairy-free margarine, sugar, eggs and vanilla extract, then whisk until the mixture is lighter in colour. Half fill each bun case, and bake for about 15-20 minutes, or until firm to the touch. 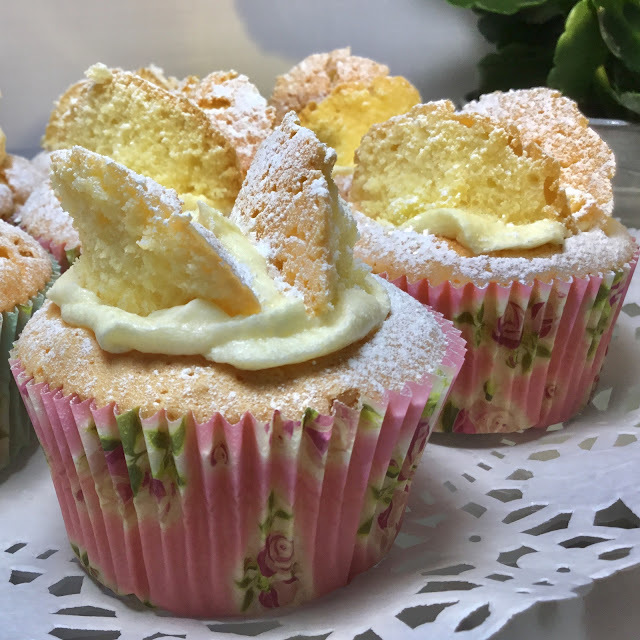 Meanwhile, make the butter icing by whisking together the dairy-free margarine, icing sugar, finely grated lemon rind and lemon juice. When cold, slice the top off each bun and cut it in half - this will make your butterfly 'wings'. 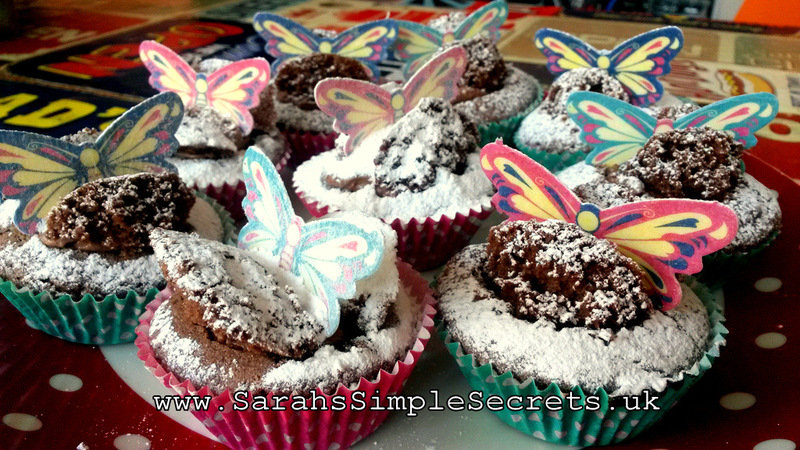 Now, put a little of the butter icing onto the buns and arrange the 'butterfly wings' on top. Finally, lightly dust with icing sugar and sprinkle the edible silver glitter on top of each butterfly bun.